"A bright and focused version, with a smoky underpinning and a lively bead that features a creamy texture and carries flavors of raspberry pâte de fruit, peach skin, fresh ginger and piecrust. Delivers a clean-cut, chalky finish. Disgorged January 27, 2014. Drink now through 2019. " 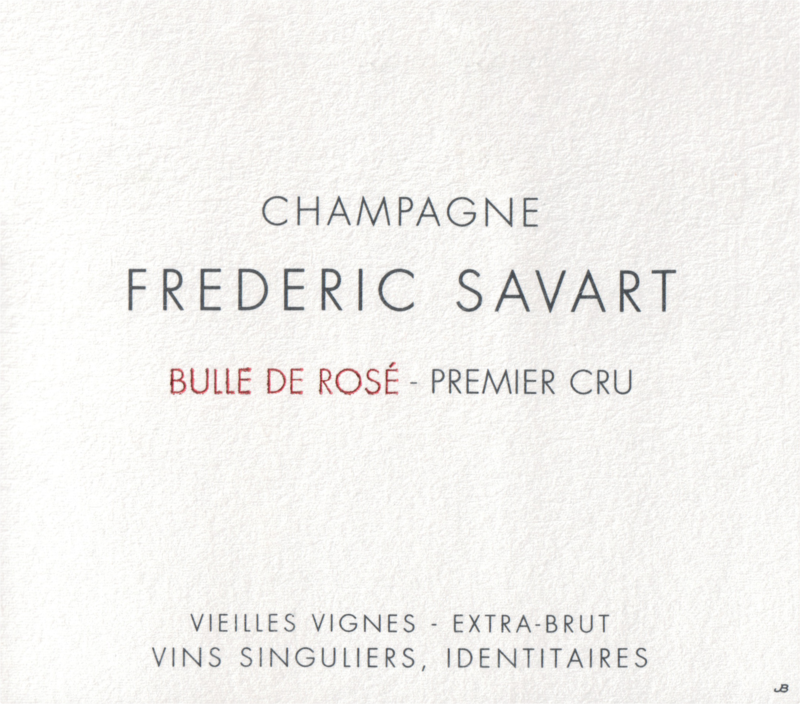 "Readers looking for an up and coming grower in Champagne with serious potential need to put Savart on their radar screens. Ambitious and passionate, Fred Savart clearly loves being in the vineyard above all else. He also has a deep interest for the world's great wines. These current releases, especially at the NV level, are informed by 2011 and 2010, both challenging years in Champagne, but the top vintage wines give a clearer sense of the potential here. 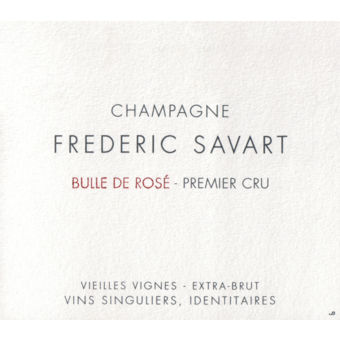 Savart has only been making wine for a few years, so he is still finding his style, something that is quite normal at this stage. Today's wines are made with less batonnage than the past and give greater emphasis to minerality. If the 2013 vins clairs I tasted from barrel are representative of the overall level of quality, it won't be too long before Savart stakes out a place among Champagne's top growers." -Antonio Galloni, Vinous Media.